How accurate can this be? Isn't a "North America" poll a stretch? Plus, using the broad term "newspapers" without breaking it down is like saying homo sapiens to explain race and ethnicity. 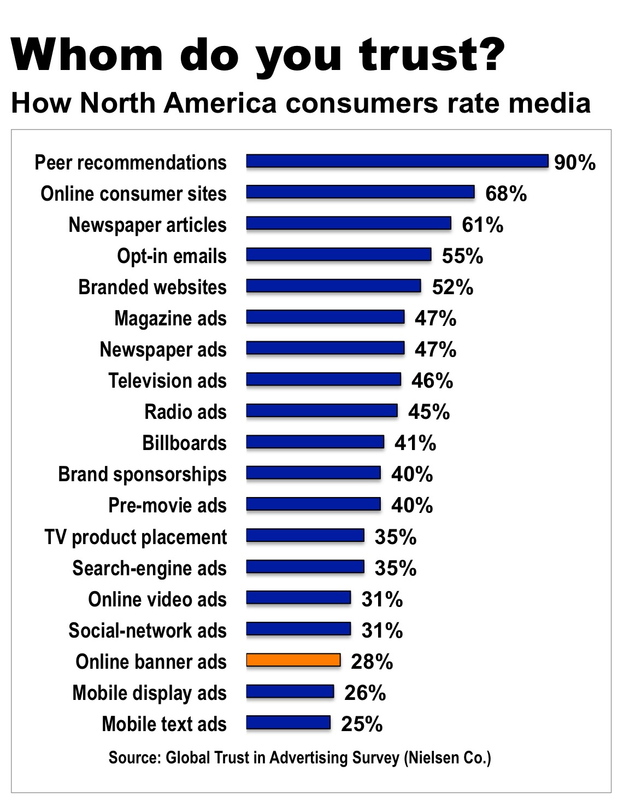 A North American survey, how representative is that for the majority of newspaper circulation which is local? "North American" and "newspapers" is like using homo sapien to describe race and ethnicity. 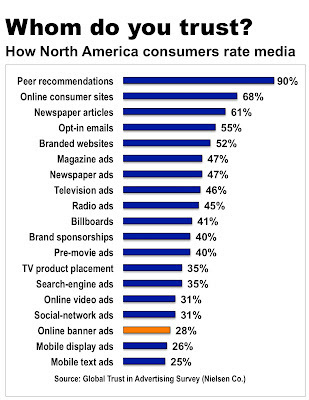 Newspaper ads get 47% and online ads get 28%. I think that newspaper online ads can boast a much higher rating than the ugly ads you get in your Yahoo email or others like that.